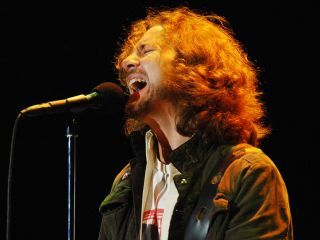 Pearl Jam's unreleased song Better Days has been leaked online, and apparently it's all because of a mysterious man named Pete who posted it online on behalf of the group's manager, Kelly Curtis. "Gary, [manager] Kelly [Curtis] wanted you to hear this, please give it a listen," wrote Pete on the Monkey Wrench Records site - and minutes later the post was taken down. But you can hear the track on the Antiquiet site. Reportedly, the song was from the band's 2002 Riot Act sessions, and it makes for a fascinating listen. Featuring some of Eddie Vedder's most forceful and emotive singing, hand percussion, according and mandolin, it's a hands-down winner. Surprising it was never properly released.